An office that has no ergonomic equipment and furniture is likely to have stressed, unproductive, and unhealthy workers. The benefits of office ergonomics have been well-documented in the past several years, and this is why it is no wonder why bigger corporations and even smaller businesses are investing on ergonomic furniture to ensure business growth. While the benefits of office ergonomics are unquestionable, some companies still remain skeptical, believing in false information that hinders them from making their employees more comfortable, healthier, and more productive. Business owners should realize the full potentials of office ergonomics in order for their businesses to cope with the demands of their respective industries. Keeps employees healthy and comfortable – Office employees who use non-ergonomic office furniture and equipment are likely to develop certain health issues including but not limited to muscle swelling, numbness and pain, muscle sprains and strains, herniated disc, traumatic and non-traumatic hernia, and carpal and tarsal tunnel syndrome. This is why it is important for business owners to provide their employees with office chairs, tables, desks, and workstations that are ergonomically designed. Promotes productivity among workers – When employees are healthy they become more productive at work. Absenteeism resulting from health issues is expected to on a low, which can definitely help their respective companies reach business goals and growth. In addition to health reasons, office ergonomics can also motivate employees. When workers feel that their superiors are giving importance on their health and comfort, they are likely to feel motivated, which could result in improved productivity. Helps businesses achieve business goals – One of the reasons why many giant companies are reaping successes in their respective industries is because they have productive workforce. A company that is struggling to achieve its business goals should review its relationship with its workers. If the workers are happy with their work, they become more productive, which could help their company achieve its goals. And one way of making employees happy is to provide them maximum comfort in the workplace – this is when office ergonomics plays its role. If your business is planning to invest on more ergonomically designed furniture, there are several tips you should keep in mind. 1. Ask employees for suggestions – Before buying any furniture, it would be best to ask your employees about what they want in the furniture and equipment they will be using. This is important because it will give you a better idea on what type of furniture to buy. 2. Do have a realistic budget plan – Some ergonomic furniture items may be expensive, which is why it is important to have a budget plan. Your budget will serve as your guide when you finally shop for furniture pieces you need, such as office chairs, desk, and workstation. Hence, it is important that you have a realistic budget plan. 3. 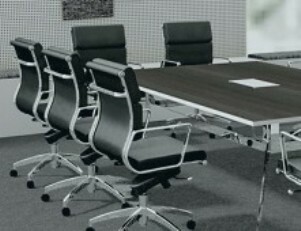 Buy from legitimate furniture sellers – You would want to negotiate only with reliable and experienced furniture sellers as they are likely to have better collection of ergonomic office furniture and have better experience in dealing with clients. If you want to have an easier time shopping for furniture, you should find a good retailer or supplier to help you with your furniture purchasing needs. It is never easy to run and manage a business, much more if you have unhealthy and unproductive workforce. If you want your business to cope with the challenges of the industry, then it is always a good idea to invest on quality ergonomic furniture.